This project was an opportunity to typographically express a personal quote or mantra through a poster design. 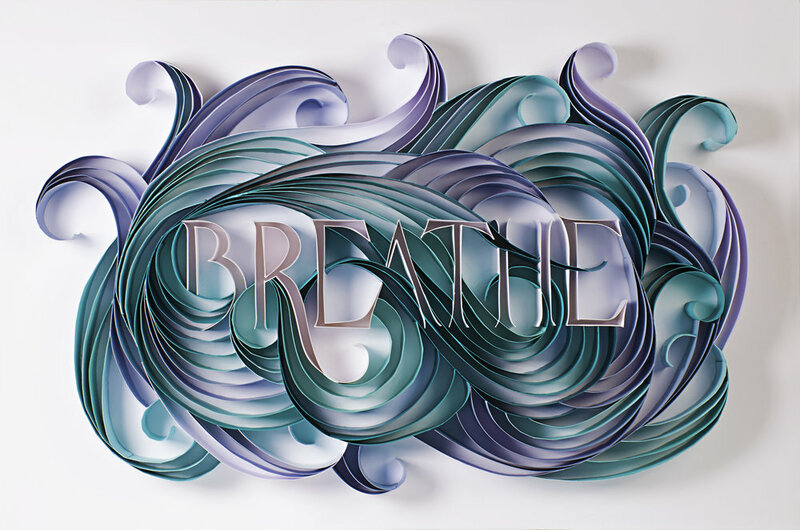 This piece was executed by hand, finalized in Adobe Draw, printed out at 20x30", then paper quilled with 100lb paper from Clampitt Paper Company. Awards: Gold Medalist in TCU Graphic Design Juried Exhibition; Featured in 2018 Eleven40seven Journal of the Arts • Sources: Clampitt Paper Co. 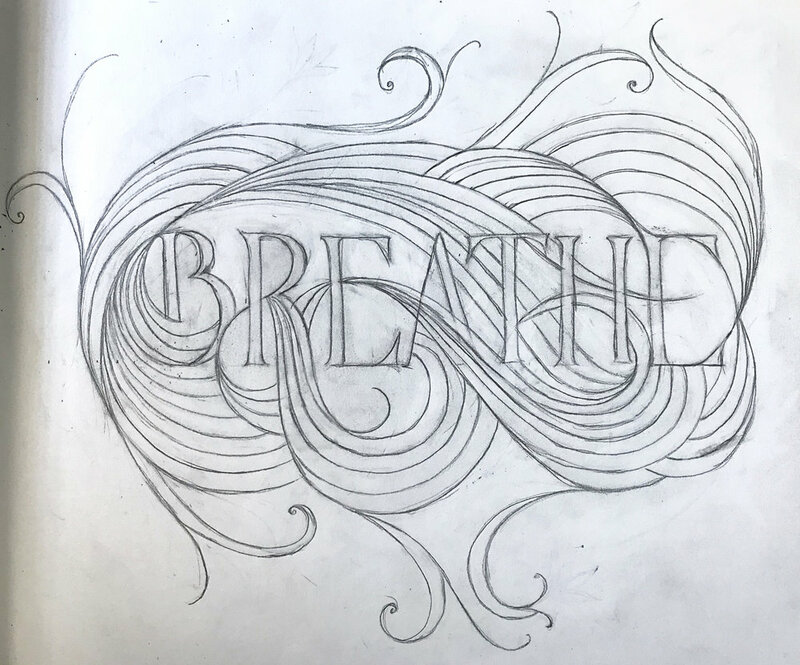 Statement: "Breathe—a reminder that brings me back to the basics of being human. Sometimes it simply reminds me that I am alive; other times it opens my eyes to see that life is so much larger than surviving. It helps me to play music, calm my soul, catch my breath. It's a glimpse of hope, an encouragement to flourish and fulfill my greatest potential."